He was speaking on a day when the market hit new highs with a little over a month to go before election results. He was part of a panel discussion marking the launch of the latest entrant in the mutual fund industry — the Sun Pharmaceutical Industries co-promoter Sudhir Valia-backed ITI Mutual Fund. Others on the panel were Ramesh Damani, member, Bombay Stock Exchange (BSE); Nimesh Shah, Managing Director and chief executive officer at ICICI Prudential Asset Management Company; and George Heber Joseph, chief executive officer and chief investment officer at ITI Mutual Fund. 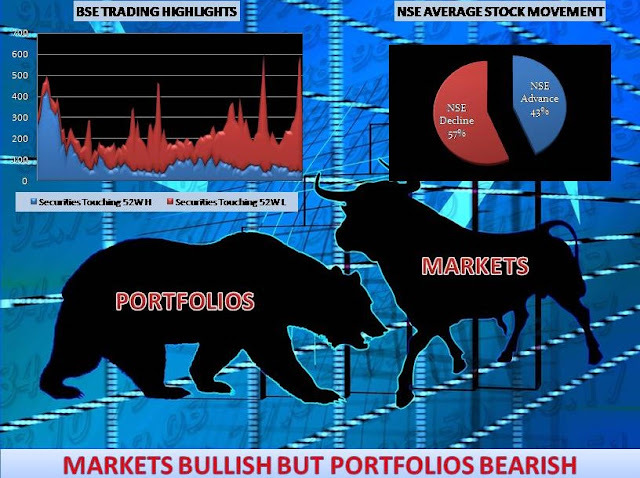 Both the benchmark indices closed at all-time highs on Tuesday — the S&P BSE Sensex closed at 39,275.64 while the National Stock Exchange’s Nifty 50 ended at 11,787.15. Ramesh Damani advised investors against positioning themselves on the certainty of a particular party coming to power. He said markets have had a bad track record in predicting election outcomes, and investors should be careful of being overly assured about a given outcome. Team Maloo Investwise Dr Ramesh Maloo, CA Kamal Maloo and Kailash Maloo met with Mr. Prashant Jain ED and CIO, HDFC AMC during a visit to Jaipur on 12 April 2019 at the Hotel Rambagh Palace. Mr Prashant Jain, CFA is the Chief Investment Officer, Executive Director, and Fund Manager at HDFC Asset Management Company Ltd. and previously, from June 20, 2003, to June 30, 2004, served as the Head of Equities. Mr Jain joined the firm on June 20, 2003. Prior to this, he was the Chief Investment Officer, Head of Funds Management, and Fund Manager at Zurich Asset Management Company (India) Private Limited from July 1993 till June 19, 2003. Before that, Mr Jain worked at SBI Mutual Fund as Fund In-Charge from 1991 to 1993. He is a Chartered Financial Analyst from AIMR. Mr Jain has extensive experience in fund management and research. He received a PGDM from the Indian Institute of Management Bangalore and a B. Tech degree from the Indian Institute of Technology, Kanpur. Mr Prashant Jain who is managing 3 lakh crore has become the first Indian fund manager to complete 25 years managing a single fund. HDFC Mutual Fund’s chief investment officer Prashant Jain has become the first Indian fund manager to complete 25 years managing a single fund. He achieved this in 2019 with HDFC Balanced Advantage Fund which has generated an alpha of 9.54 per cent over the Sensex since 1994, Morningstar Direct data show. 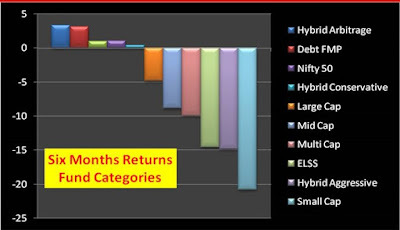 HDFC Balanced Advantage Fund (the erstwhile HDFC Prudence Fund), launched in February 1994, is the largest equity-oriented fund in India with assets of Rs 37,395 crore as of February 2019. The fund, now categorised as dynamic asset allocation (equity can be 0 per cent to 100 per cent), in its earlier avatar as HDFC Prudence Fund (a balanced fund). Data from Morningstar Direct show that when compared to other global funds managed by a single fund manager for 25 years and above, Jain’s fund has generated an alpha of 9.54 per cent over the Sensex, second only to legendary Peter Lynch who managed Fidelity Magellan till 1977, generating an alpha of 10.92 per cent. Anthony Bolton managed Fidelity Special Situations from December 17, 1979, to December 31, 2007, and generated an alpha of 9.2 per cent. 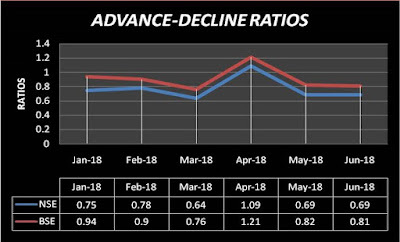 HDFC Balanced has returned an annualised 18.48 per cent since inception. “Jain has a sharp ability to spot cycles ahead of time. He adopts a long-term approach to stock picking, sticks to his investment mandate and is not worried about underperformance in the short term,” says Himanshu Srivastava, senior research analyst at Morningstar India. While Jain’s strategy has worked in the long term, it has also tested investor patience in the short term. “The transition years, where he books profits and identifies stocks to ride the next cycle have been the most difficult for Jain, as returns lag those of peers in the short term. However, if you consider the block of 3 or 5 years the returns are good,” says Deepak Chhabria, CEO, Axiom Financial Services. When we talk of an investor, we relate him to only money and finances and tend to overlook the fact that first, he is a human being and thereafter an investor. Investor behaviour is characterized by his feelings, moods and sentiments, personality traits, perception, attitude and emotions. Therefore, like all other humans, his actions and decisions are affected by various biases. Investor psychology (the science dealing with the mind and mental processes, especially in relation to investor behaviour) classifies these into heuristic biases and cognitive biases. Simply put, a heuristic is a ‘Rule of Thumb’ mental shortcut used to solve a problem. It is a quick, informal, and intuitive algorithm that the brain uses to generate an approximate answer to a reasoning question. When investor heuristics fail to produce a correct judgment, it can sometimes result in a cognitive bias, wherein the processes information by filtering it through his experience, thoughts, likes, and dislikes. Psychologically, these biases lead an investor to a judgmental error when it comes to investing, which includes both buying and selling of the financial instruments. In this article, we will explain how some of these or other biases play up to influence the investor’s decision making. Some of these biases are listed in the chart below, and explained and exemplified through Mr Anil, a retail investor residing in a Tier II city of India, in the succeeding paragraphs. He represents the common salaried man who has two children and strives to make his ends meet within his salary. Present Bias: This is the tendency to overvalue immediate rewards at the expense of long-term goals. This bias propels Anil to live in the present without thinking too much about how the future unfolds. This gives rise to the tendency of overspending or anticipating a future windfall, which creates barriers to current saving and hampers long-term investment. Therefore, he indulges in buying consumer durables and enjoying lavish vacations and parties and postpones saving for his retirement to a later date. This proves disastrous in the long run since Anil does not start investing early. Thereby, he loses the advantage of the exponential growth of his early investment into a sizeable retirement corpus achieved through the power of compounding, which requires time. Representativeness: This refers to the tendency to form judgements based on stereotypes. For example, you may form an opinion that a person is rich if you see him alighting from a luxury car, even when he does not own it but has merely travelled in it as a guest of the owner. This results in investors labelling an investment as good or bad based on its recent performance. As per Chandra Prasanna (2016), Behavioral Finance, McGraw Hill Education, investors may be drawn to mutual funds with a good track record because such funds are believed to be representative of well-performing funds. They may forget that even unskilled managers can earn high returns by chance. Investors may become overly optimistic about past winners and overly pessimistic about past losers. Investors generally assume that good companies are good stocks, although the opposite holds true most of the time. Consequently, Anil may buy stocks after prices have risen expecting those increases to continue and ignore stocks when their prices are below their intrinsic values. Availability Bias: It is a bias where most relevant, recent, or traumatic events strongly influence the perceptions of investors that may be far from economic reality. The danger of basing investment decisions on market perception, rather than facts, is that Anil may pull his money out at the wrong time and miss some of the best days as the market recovers. In the stock trading area, this bias manifests itself for Anil through his preference to invest in local companies, which he is familiar with or about which he can easily obtain information, rather than relying on deeper market research. Anchoring: It is the tendency to hold on to a belief and then apply it as a subjective reference point for making future judgments. Anchoring occurs when an individual lets a specific piece of information control his cognitive decision-making process. As per Chandra Prasanna (2016), Behavioral Finance, McGraw Hill Education, there are two plausible explanations for anchoring. The first is based on uncertainty relating to true value. When there is uncertainty, the decision maker adjusts his answer away from anchoring value until he enters a plausible range. This explanation works best for relevant anchors. The second explanation is based on cognitive laziness. Since it requires effort to move away from the anchor and people are cognitively lazy, they tend to stop too early. This explanation works best for irrelevant anchors. Therefore, anchoring will lead Anil to invest in the stocks of companies that have dropped considerably over a short span of time. He is likely anchoring on a recent high point for the stock’s value, likely believing in some way that the fall in price suggests that there is an opportunity to buy the stock at a discounted rate. As far as Anil is concerned, the overall market has caused some stocks to drop significantly in value, thereby allowing him to capitalize on short-term volatility. However, what is perhaps more likely is that a stock which has dropped in value in this way has seen a change in its underlying fundamentals. Regret or Loss Aversion: This refers to an important concept encapsulated in the expression “losses loom larger than gains” as the pain of losing is psychologically about twice as powerful as the pleasure of gaining. Typically, this is noticeable in the game of golf where the golfer avoids a water hazard by going around it or taking a layup shot. In the bargain, he loses a stroke or is required to play an excellent shot thereafter to make up the loss. Similarly, Anil will prefer to avoid the loss because the associated pain is more intense than the reward that he will feel from a gain. To avoid this pain of loss, he will try to play safe and resultantly move his investments to a place he perceives as safe-haven i.e. cash, cash equivalents or fixed income instruments. Another step he may undertake is to discontinue his ongoing SIP/SEP. All this will cost him when the inflation eats into his savings and erodes his purchasing power. Regret aversion can explain investor reluctance to sell losing investments because it gives them feedback that they have made bad decisions. Anticipated regret influences Anil’s decision making to take less risk because this lessens the potential of poor outcomes. Overconfidence: This bias leads to the false assumption that someone is better than others, due to their own false sense of skill, talent, or self-belief. Investors often exhibit overconfident behaviour resulting in severe consequences. Research documents that overconfident behaviour is connected to excessive trading and results in poor investment returns. It can also lead to investors failing to appropriately diversify their portfolios. Overconfidence plays out in the real world and creates biases, viz. over ranking, illusion of control, desirability effect and timing optimism. Therefore, Anil having performed well in recent past may conclude that he is truly skilled and take more risks and trade more. To him his overconfidence will make future trades look less risky, but, when things go wrong his potential losses will be higher as they are directly proportional to his degree of overconfidence. Barber and Odean (2001) studied the role of trading behaviour and gender bias for a sample of 35,000 individual accounts over a six-year period. Their findings reveal that males are not only more overconfident about their investing abilities but also trade more often than females. Compared to women, men also tend to sell their stocks at the incorrect time resulting in higher trading costs. Women generally trade less and apply a “buy and hold” approach resulting in lower trading costs. Other studies have found that the relatively young are more overconfident than the relatively old and that highly overconfident people tend to have a higher risk tolerance. Herd Effect: It happens when people feel most comfortable following the crowd and tend to assume the consensus view to be the correct one. It is also referred to as the bandwagon effect where the phenomenon of a popular trend attracts even greater popularity. This is the single most important bias in financial markets that create economic bubbles, which burst later to erode capital of the investors. History is replete with example of such bubbles, where during the run-up, investors bid up the prices to unsustainable levels. Then, even more quickly than they expanded, these markets burst and contracted to leave the herd scrambling. It is because of this bias that Anil will invest into a scrip or financial instrument that forms part of the rising bubble without due diligence and personal research, only to lose his capital when the bubble bursts. An investor is someone who commits capital in order to gain financial returns. Warren Buffett, the investment legend, defines investing as “… the process of laying out money now to receive more money in the future.” An investor differs from a trader. An investor puts capital to use for long-term gain, while a trader seeks to generate short-term profits by buying and selling securities repeatedly. Therefore, the frequently asked question is whether investment is an art or science? Investment is neither an art or nor science; instead it is common sense based on three important tenets – discipline, patience, and knowledge. An investor must be wary of the market cycle and understand that when he invests, for all the gains that he will make, he will also incur some losses. It is impossible to only gain from the markets and not undergo some loss. However, a seasoned investor will mitigate his losses and increase his gains to ultimately improve his financial position. In this article we discuss some important facets that an investor must consider while he undertakes his investment journey. your risk-taking ability that is function of your age, cash flow and liabilities? 10 times of your annual salary. Compounding – Einstein called “compound interest is the eighth wonder of the world. He who understands it earns it. He who doesn’t pays it.” Compounding is the process of generating more return on an asset’s reinvested earnings. To work, it requires two things: the reinvestment of earnings and time. See the chart below where we have calculated the yearly compounding of rupees 1 lakh that earns 12 percent annual interest. In 30 years, it has grown to almost rupees 30 lakh. However, it has taken nearly 7 years to double and 21 years to grow 10 times. Thereafter, in the next 10 years it grew from 10 to nearly 30 times of the initial investment. As is evident, the exponential growth of the investment is only in the latter half of the investment period when the investment has grown from nearly 5 to 30 times. Therefore, the investor must start investing early to give himself adequate time for the compounding to work and minimise withdrawals or keep reinvesting the returns. generate positive real returns over long-term. participates in the company’s growth/decline through rise/fall in share prices. Besides, you also earn dividends that the company gives to its shareholders. stocks, while the markets are open. PPF, FDs or SCSS and so on. investing, it is equally important to keep a track of your investments. minimized, and rebalance the portfolio periodically. then he will earn a lucrative CAGR that beats volatility and inflation. that registered some of the biggest gains and the CAGR will drop drastically. years will be 150 percent more. efficient returns with tax savings under Sec 80C of the IT Act. According to the third CFA institute investor trust study survey covering 3,127 retail investors and 829 institutional investors worldwide, 70% of Indian investors work with professional advisers compared to 54% globally; 81% of these began work with advisers in the past six years. Of these Indian investors, 31% investors listen to primary advisers, 30% depend on online research and 19% take advice from friends and family. The investor looks for someone who will act in their best interest and can achieve high returns. In another survey, sixth-annual Legg Mason Global Investment Survey (LMGIS), 44% investors with financial advisors feel that volatility is “positive – if managed properly” as against 27% without advisors. This indicates that investors with advisors are more likely perceive volatility as an opportunity. The chart below is reproduced from a survey report of IIMS Data works Survey and shows with whom would Indians trust their money. Diversification – They help you to diversify your investments. The financial advisor understands the importance of diversification as a means to beat the market volatility and thus helps you to stay on course to meet the financial goals. Statistically, as per the LMGIS survey, advised investors are better informed and more confident to diversify their portfolio into asset classes other than equities. paying taxes unwisely and coming under the taxman’s scanner. Risk Profiling and Goal Planning – A financial advisor will put you through the paces of risk profiling and financial goal planning before suggesting investment options. This is the correct and methodical way of going about investment. A DIY investor at times overlooks these important aspects and gets carried away to invest in a financial instrument that is marketed better than others even though it may not suit his risk profile or meet his financial goals in the given time frame. Financial advisors tailor your portfolio from a plethora of financial instruments to suit your risk profile and help you meet your financial objectives within stipulate timeframe. Professionalism – Financial advisors bring professionalism to your investment management. In accordance with your risk profile and financial goals, they carry out annual or half-yearly portfolio reviews and rebalancing to minimize losses and maximize gains. Next, they track the markets continuously and advice you at opportune times to book profits or cut out losses appropriately through redemptions, switches or purchases. Better Returns – The use of a Financial advisor provides you the opportunity to generate better returns. The chart below is made from a sample survey carried out in the USA where it was deduced that advised individuals had a minimum of 25% and a maximum of up to 113% more assets than unadvised individuals. This was possible since advised individuals stayed invested for longer-term and had properly diversified their portfolios. Qualifications and Credentials – Dime a dozen financial advisors are available in the market. This makes it difficult for an investor to choose the right man for the right job. 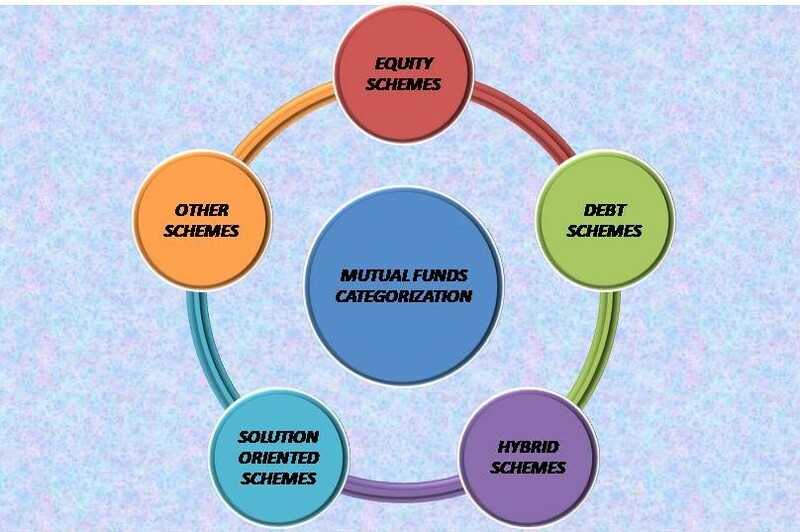 To choose a financial advisor wisely, an investor must look for a Securities and Exchange Board of India (SEBI) registered investment advisor (RIA) who preferably is a certified financial planner in jaipur (CFPCM ), which is mark of excellence granted to individuals who meet the stringent standards of education, examination, experience and ethics. Since the agents represent few companies, they can sell products of only those companies. Market Regulator SEBI feels the need of segregating distribution and advice and is moving in this direction. Stoppage of upfront commission for agents, fee-based Financial advisory services and trail commission-based distribution agents are some the regulatory norms being brought about by SEBI. This will protect the investors from commission-driven agents who tend to offer biased financial advice to secure a maximum commission. than five years’ experience with good market reputation. to gauge his overall market standing. them. Alternatively, he may be under pressure to meet their financial targets. through financial products that do not suit the requirements of the investor. Promise of Excessive Returns – The average equity returns vary between 12 to 15 percent. to 35 percent is to take unnecessary risk.